WBSWC Recruitment 2018: West Bengal State Warehouse Corporation has issued official notification for the vacancies of Clerk, DEO and Superintendent 63. Eligible and skilled candidates can send West Bengal State Warehousing Corporation Jobs 2018 application form through online mode from their official website warehousingwb.com. Interested candidates can apply online for WBSWC clerk, DEO and Superintendent vacancies 2018 till the last date of 25.12.2018. Candidates can download official notifications from the official website before applying for this vacancy. 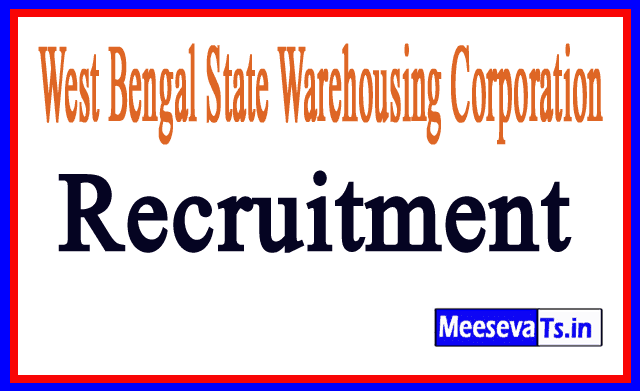 For more information about the recruitment of the West Bengal State Warehousing Corporation, eligibility details like qualification details such as education qualification, age limit, selection process, application fee and how to apply, important links, courses, admission papers, results, previous papers, etc. Are given below. Selected candidates will be received from the organization according to the norms. Look around for "WBSWC Recruitment 2018" for clerk, DEO and superintendent posts.